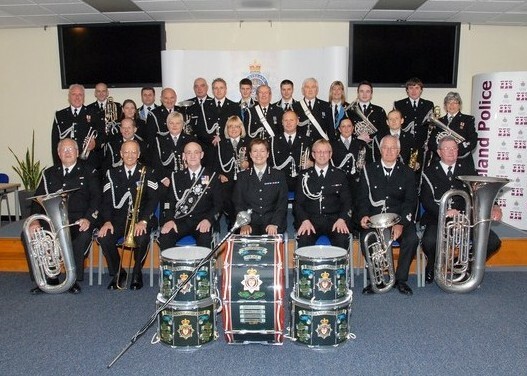 Cleveland Police Community Band is a uniformed band and is available for public and private hire. The band is very reasonably priced and offers a unique brand for public events, shows, weddings and fundraising concerts. Formed in 1971, the Cleveland Police Community Band has a long history of serving the community of Cleveland and the North East. Previously 'Cleveland Police Band', as of April 1st 2013, the band reformed as an entity in it's own right. It's purpose: to promote links between the community and Cleveland Police and displaying the professionalism of the Force through the excellence of music. The band itself comprises of approximately thirty members from all walks of life and all age groups, comprising of 10 cornet players, 7 percussionists, 4 horn players, 4 euphonium players, 5 trombonists and 4 Bass players. These individuals contribute many hours each year in both rehearsals and performances, with a minimum of six hours every week on rehearsals alone. As of 2014, the Cleveland Police Community Band is available as a Concert Band only.